Bosch carbide rotary hammer bits feature tips that stay sharper longer and deliver more holes within specification than competitive bits. Manufactured to ANSI specification B212.14. 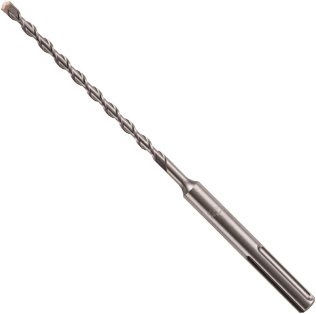 SDS-max® rotary hammer bits fit Bosch SDS-max® hammers and competitive SDS-max® drive hammers and Hilti® hammers using TE-Y and TE-FY shanks. Unrivaled power from solid carbide head with robust S-cutter design for added speed and life.